Gaming has become a daily activity for a lot of people in any age range. Whether you are using a controller or using a mouse and keyboard, you are using muscles in your hands and wrists and strain on them may lead to problems later in life. Carpal tunnel is a real issue and simple exercises and proper ergonomics can help avoid risking it. These exercises will also increase your flexibility and may help with your mouse clicking speed. Professional gamers and streamers play for more than 8 hours a day, and even working in an office can be stressful to your hand and wrist muscles. Stretching and exercises can help alleviate some of the pain you may have in your thumbs and even help develop muscles for better gaming performance. 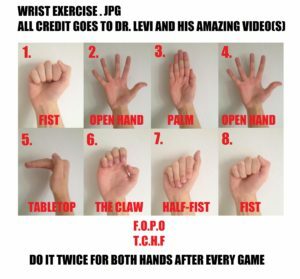 Here is a youtube video from Dr. Levi Harrison that I’ve tried and found that it has helped my hands feel more relaxed after a long gaming session. Here is a cheat sheet of some of the hand exercises he walks you through. 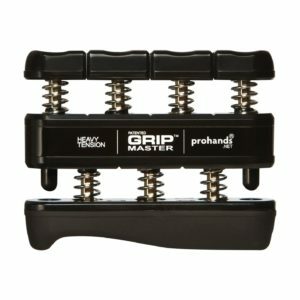 I’ve had a Gripmaster Hand Exerciser for many years now. I bought it years ago on a recommendation that it is good for playing guitar and bass. This tool is fantastic for warming up your hands before playing games or to even build up muscles in your fingers and wrists. Another option is the Grip Strengthener. This isn’t as intricate as it’s a single lever with a spring, but it does work well. The major advantage of this device is its adjustable resistance. 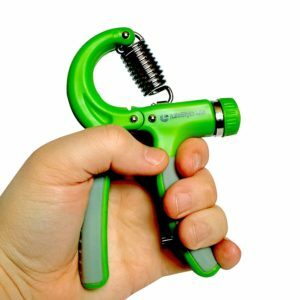 This specific grip strengthener can be adjusted from 22lbs to 88lbs. 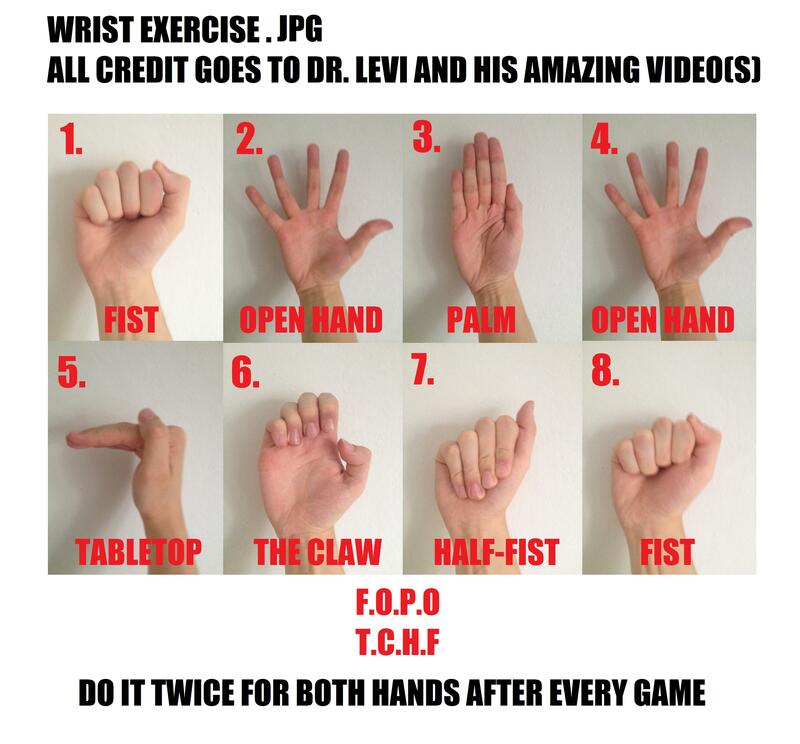 Keeping your hands, fingers, wrists in good shape will keep you gaming longer and may help your skill. Use these exercises and grab one of these grip strengthening tools to work out when you are waiting to respawn or while before you start your session.